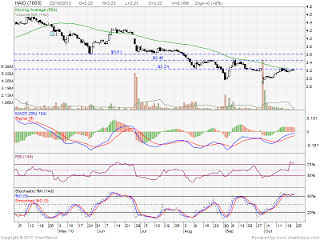 On 22 Oct 2010, it form a doji candlestick, what's will happen on 25 Oct 2010 ??? 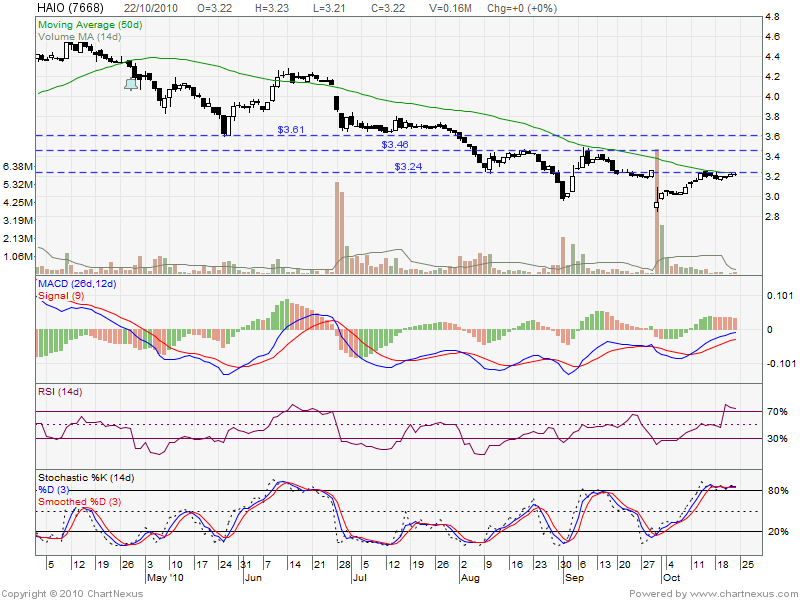 RM3.61 may consider as quite heavy resistant, it might consolidate OR have solid reason just able break this point. Added, Final Dividend of 10 sen per ordinary share of RM0.50 each less 25% tax and a single tier dividend of 4.5 sen per ordinary share of RM0.50 each, ex-date 26 November 2010 .